Making your list, checking it twice? Here’s your one-and-done list for shopping local and keeping it fab in Austin this holiday season. Heritage Boot Co. Credit Sam Seizert. 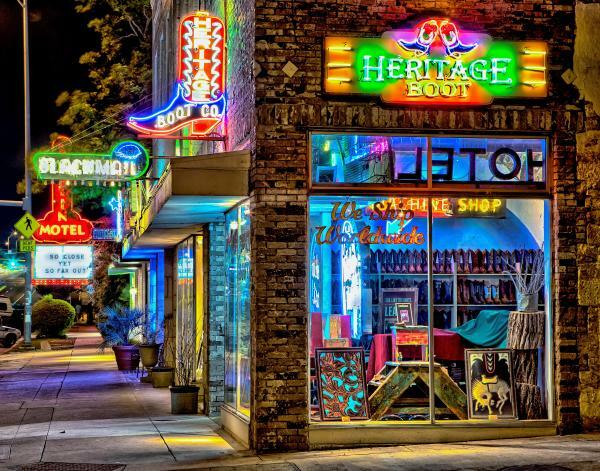 Boots from Heritage Boot Co.
Head to South Congress Avenue for a new pair of boots from Heritage Boot. This unique shop specializes in small batch, quality hand-made boots of all styles that will last you and your loved ones for years to come. And it&apos;s also a darn-cute shopping destination, so don&apos;t miss this one. Snag tickets early to this 15-day Western extravaganza in March, which boasts Professional Rodeo Cowboys Association (PRCA) events, more than 130 music performances, a stock show and a gigantic, fun-for-all carnival. 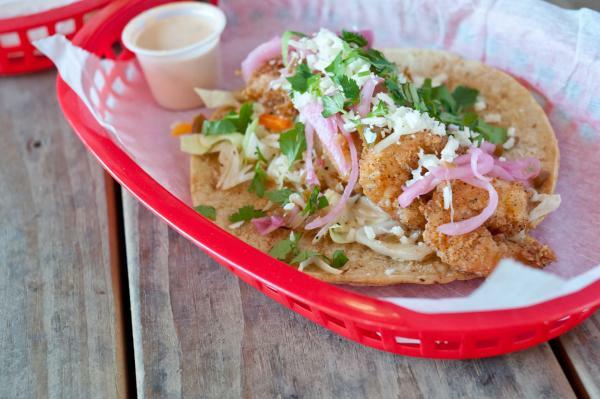 Baja Shrimp Taco from Torchy&apos;s Tacos. Photo Credit Aimee Wenske. With more than a dozen Austin locations and additional locales all over the state and beyond, Torchy’s makes it easy to satisfy serious taco cravings. Combine a gift card with a pocket-friendly bottle of Diablo Hot Sauce to score bonus points with your lucky recipient. Mando Rayo and Jarod Neece, Austin authors and taco journalists, explore the traditions, recipes and personalities behind one of Texas’ most-loved foods. Texas Breakfast Tacos, by the same authors, is also a great addition to the coffee table for taco enthusiasts. Stop in to Austin&apos;s local book destination, BookPeople, for these true Austin reads and more. Hoiden Supply Co. Credit Jo Savage. 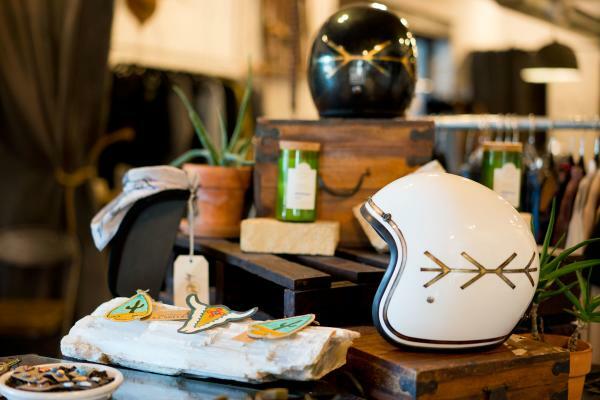 Stop by this little South Lamar shop for effortlessly cool apparel, accessories and novelties. Whether you&apos;re looking for a pair of moto-chic sunnies, locally-designed active wear or hand-sewn patches, this is the perfect place to pick up gifts for all the fashion-forward gals in your life. Browse this cozy showroom on South First Street, which shares its space with Peruvian shoe makers Fortress of Inca. Pick up a colorful South American satchel for the world traveler or handmade jewelry for your fashion forward friends. 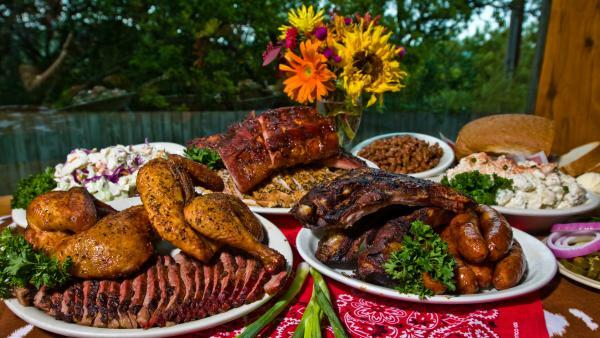 Treat someone you admire to the ultimate meal at the County Line, where he or she can pair mouthwatering marbled brisket with homemade bread, delectable mac and cheese and some of the best Hill Country views in town. "Franklin Barbecue: A Meat-Smoking Manifesto"
Make brisket dreams come true with this guide to all things smoky by legendary barbecue master Aaron Franklin of Franklin Barbecue, a beloved East Austin joint known for its long lines and quality &apos;que. 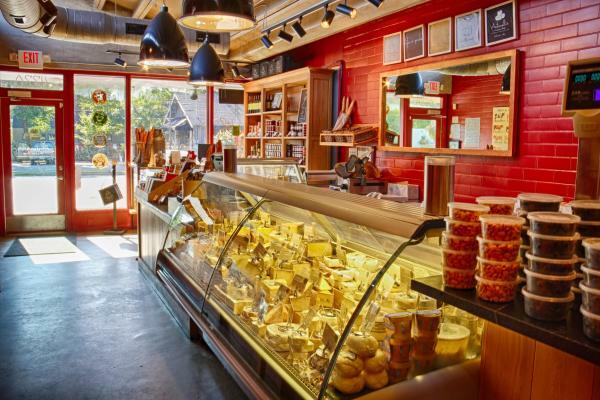 The Taste of Texas Basket basket, curated by local cheesemongers Antonelli’s, includes three made-in-Texas cheeses and tasty pairings from other local producers. Purchase a variety of baskets online — or better yet, visit the Hyde Park shop for free tastings. The java gurus at Cuvée work with special coffee-grower partners to acquire beans for their concoctions. Head to the east Austin coffee bar to pick up a bag of Spicewood Classic beans or a six pack of Black & Blue, cold-brewed coffee blasted with nitrogen that’s guaranteed to satisfy any buzz-seeker. Established in 1978 by a couple with a shared passion for creating hand-carved wooden toys, Terra Toys now offers fun, educational toys from more than 2,000 vendors in a whimsical space that’s fun for both kids and adults. Little ones look oh-so-adorable sporting these comfy shirts designed by two Austin stay-at-home moms, featuring locally inspired designs with armadillos, Texas longhorns and cowboy dinosaurs. Get ‘em at local boutiques like Atown, Wee and Parts & Labour. And for everything else, get your local shopping started early at the Austin Visitor Center! Open Monday - Saturday, 9 a.m.- 5 p.m. and Sunday, 10 a.m.- 5 p.m., stop by for boots, Austin apparel, music, Tito&apos;s merchandise and tons of fun stocking stuffers for the Austin lovers on your list!